Welcome to Jeri L. Stull Orthodontics! At Jeri L. Stull Orthodontics, we offer advanced orthodontic treatment to children, teens and adults serving Northern Kentucky and the surrounding Greater Cincinnati area. 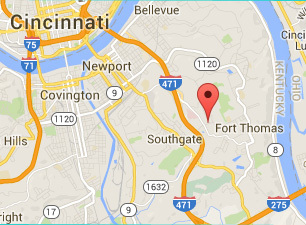 The office is conveniently located in Fort Thomas, Kentucky. Dr. Jeri L. Stull utilizes the latest advances in the industry. Damon® clear and metal self-ligating braces — This bracket system will allow Dr. Stull to deliver your best smile in the most comfortable and efficient treatment possible. Insignia™, computer generated customized braces and wires that are tailored to your unique smile. Invisalign® and Invisalign® Teen, Dr. Stull can straighten teeth without the look or feel of braces. Incognito, invisible customized braces that are hidden behind your teeth. AcceleDent™ SoftPulse technology will significantly reduce treatment time by accelerating the cellular response for tooth movement with an increased comfort level. We keep our office on the forefront of technological breakthroughs to provide the best orthodontic care possible. We clearly realize the importance of choosing the best orthodontic practice for your family. At every visit, our goal is to provide the highest quality of care and extraordinary service. As such, we are focused on giving you the ultimate orthodontic experience from start to finish! Our dedicated team of highly-qualified professionals is committed to determining which treatment solution is best suited for your specific orthodontic needs. Please contact us to schedule a complimentary consultation to meet Dr. Stull and the team at Jeri L. Stull Orthodontics. We are pleased to accept the benefits of most insurance providers.